Siberian Khatru: As always, and this is a perennial complaint, the band took a song or two to get going. The mix was still improving through �Siberian Khatru� with David far too quiet. The performance was so-so. I've Seen All Good People: It feels like an odd position to be playing �I've Seen All Good People�, second on the set. �All Good People� works well as a closer or an encore, but as a way of introducing the band? And I still wasn't quite convinced by the new line-up at this point, worried my girlfriend would not enjoy her first Yes experience. Tempus Fugit: here was the first �new� song, �new� only in the sense of not being a regular in the set and new to me, I've never heard it live before. By now, things had come together. The band were in good spirits and they played tightly. Onward: �Onward� feels odd in this context; its balladry makes it quite unlike the other songs in the set. The Drama songs fit in very well with the Fragile material; even �Owner of a Lonely Heart� is not as different. Still, it was a good performance; Howe most of all. 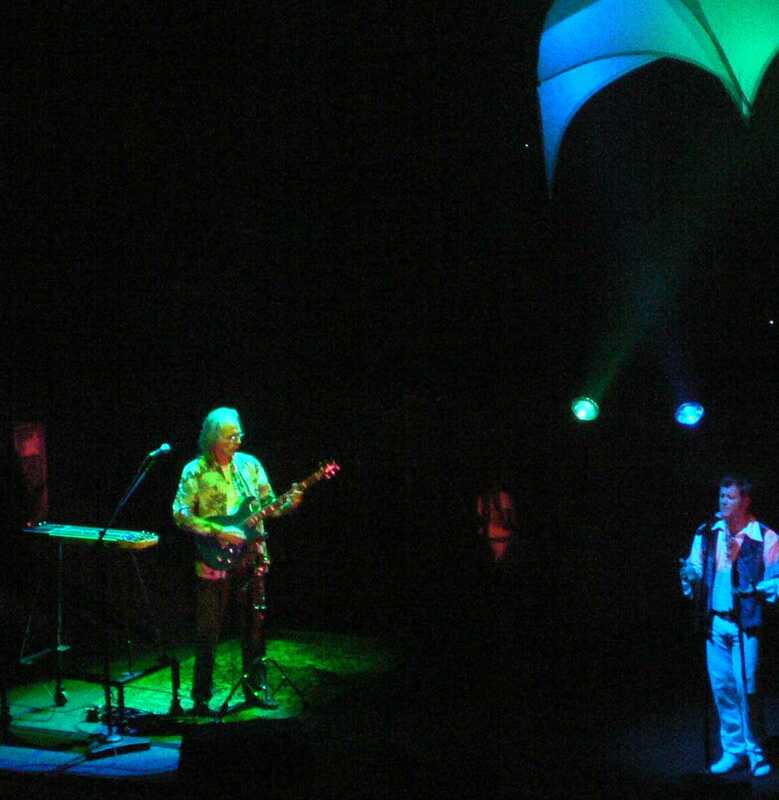 Astral Traveller: A great performance, Howe and Wakeman both shone. However, the drum solo did nothing for me; it just seems pointless! And You and I: The band were well in their stride by now: another strong performance. Yours is No Disgrace: As ever, a good excuse for Howe to go crazy! 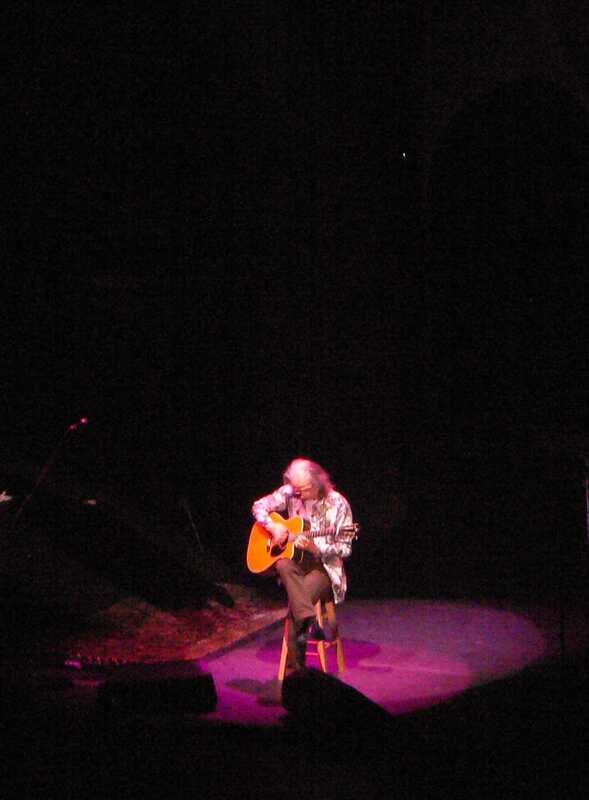 Steve Howe solo: A fantastic performance of �Corkscrew� began Howe's solo slot. I think of the piece as �Countryside� (released as a bonus track on Tormato) and Howe's performance made me wish for a full band version of this song. Next was �Sketches in the Sun�, another lovely performance. Owner of a Lonely Heart: Howe introduced this tune explaining the band had done it �while I was away doing something else�. With his Trio and the cover versions in Asia's set, Howe is becoming a keen interpreter of other people's material, and he does it well, with gusto. Howe was having fun at being an 1980s guitar god with some great solos. Machine Messiah: Another highlight, even if they had to extend the intro when Squire was late to come in. South Side of the Sky: Those great songs, they just keep on coming. 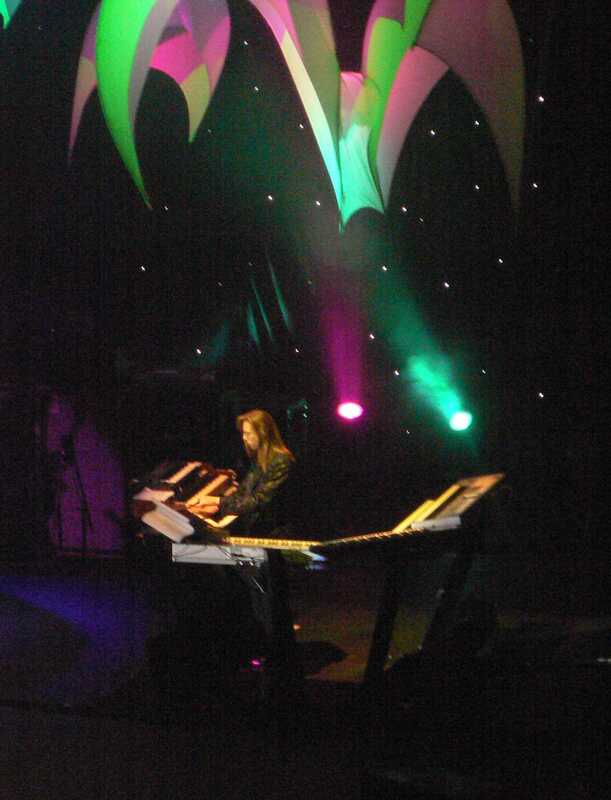 Oliver Wakeman was good on the piano section. However, as in the early '00s, I'm not convinced by the trading solos at the end and here Wakeman's work was disappointing. Heart of the Sunrise: The opening remains effectively a Squire solo spot. Overall, another highlight. Roundabout: A good performance, but forgive me if I find it too familiar. Starship Trooper: A good closer and a rousing finale. The show, as with most on this leg, is available to buy on MP3. I got it at the venue straight afterwards (with the last few songs available for download afterwards). It's a nice souvenir, if no Yessongs. Like the show, it suffers from an uneven mix at the beginning (Squire's vocals are almost louder than David's on �Tempus Fugit�), but it's good to have some of these performances preserved, like Howe's take on �Owner of a Lonely Heart� and �Astral Traveller�. 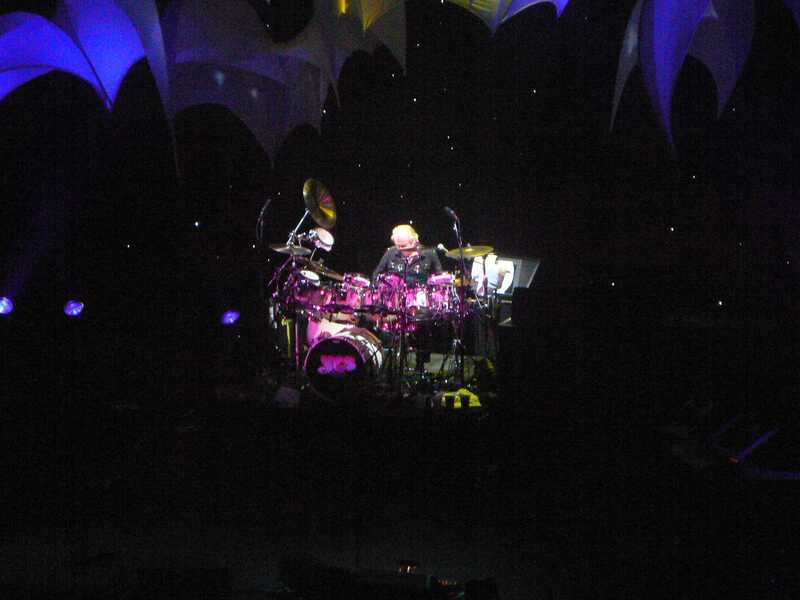 It's been about 5 years since I last saw Yes... and this was my girlfriend's first Yes show. 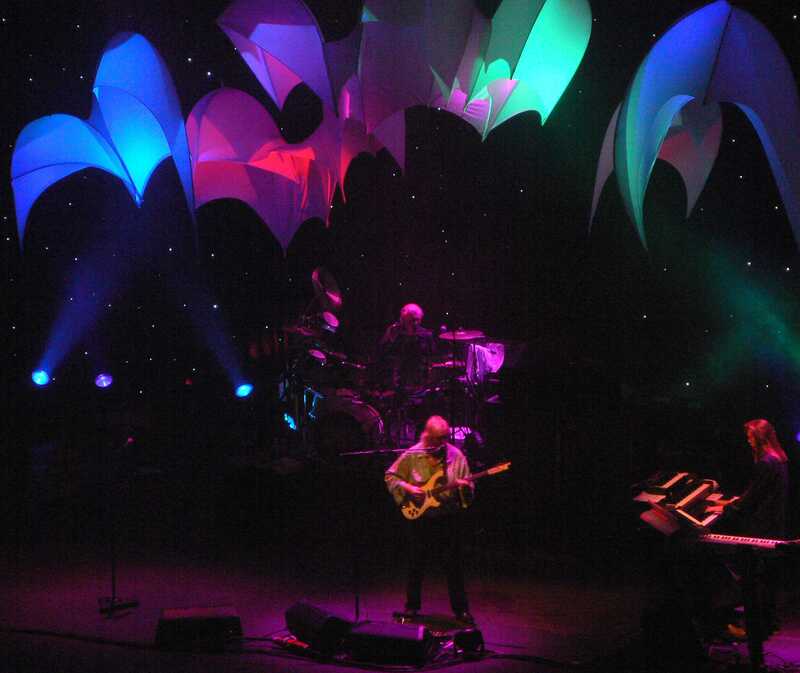 I've seen Steve Howe numerous times of late, with Asia and his Trio. I've seen Squire with The Syn. I've seen Jon Anderson solo and a show with Rick Wakeman. I've even seen Trevor Horn's band The Producers playing �Owner of a Lonely Heart�. But not Yes and not the controversial new line-up. I've read hundreds of reviews of shows by the new band, hundreds of screens of online discussion about whether they should be called Yes, whether they should have taken this route, who's to blame for this or that� I've listened to a few boots too, but this was my first opportunity to actually judge for myself. The last time I saw Yes, sort of, was a line-up with Chris Squire, Steve Howe, Alan White, Trevor Rabin and Geoff Downes at the Produced by Trevor Horn event. I very much enjoyed the performance, but what I was seeing did not feel like a real band. It came across as it was, a line-up assembled for a charity performance. This new line-up, with Beno�t David and Oliver Wakeman, they felt like a real, viable band. I don't know quite how to describe it, but whatever the (many, many) arguments online, they convinced me that they are Yes. And they gave us a performance that is comparable to the Yes shows I've seen in the past (my first live Yes experience having been the Union tour). Not only did they feel like a real band, but they looked happy. 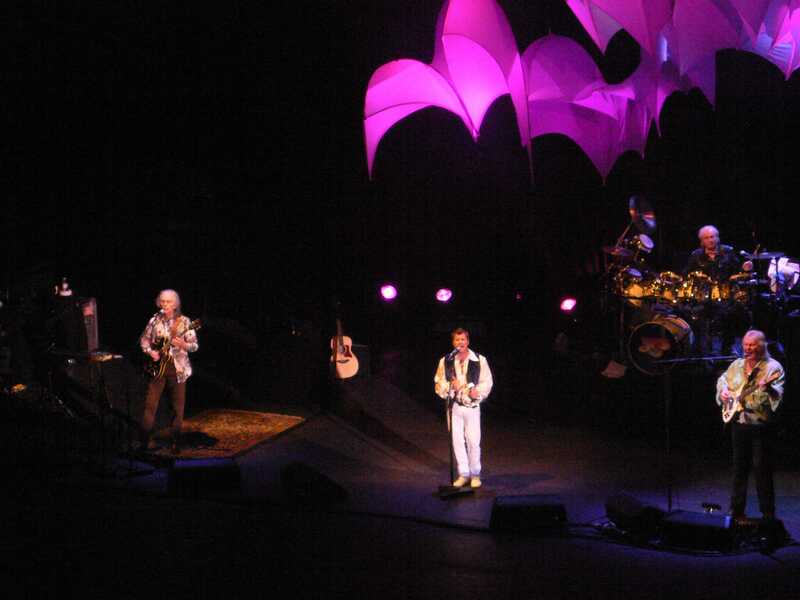 Like Howe on recent Asia and Trio shows, like Squire in The Syn at their 2005 London show, and unlike the 2004 Yes shows with Jon and Rick, the band at Hammersmith looked pleased to be there and to be there with each other. I can, in theory, worry about the lack of new material (there was nothing played that was written since my girlfriend was born), or that for most of the set only two of them had played on the original recordings (for only three songs was the majority of the recording band now on stage), but we enjoyed a great night with great music. And the audience cheers were biggest for the much-played oldies. On boots, David sometimes sounded quite like Anderson to me, yet oddly live he didn't sound at all like him. He was hitting the notes, but with a distinctive voice. And I just do not get the critiques that he looks or acts like Anderson on stage. His stage moves could be a little hokey at times, but they were all his own. That distinctive voice, there's a certain Quebecois squeaky quality that comes out on occasion, but he sang well and he shined on �Heart of the Sunrise�. My girlfriend argued he was closer to early '70s Jon Anderson than Jon Anderson is now. The other new boy � if I call someone in his late 30s that! � was Oliver Wakeman. He impressed me, particularly after several negative reviews. Ignore the complaints you've heard about his stage presence. Oliver is not an ostentatious player, but he was mostly a good player, more so perhaps on material not originally played by his father. He brought Downes' parts on the Drama tracks to life, he was great with Kaye's part on �Astral Traveler�. And he's got better sounds than Rick. I'd reserve some criticisms: I felt he didn't get Kaye's feel on �Yours is No Disgrace� and the girlfriend complained he made mistakes on �South Side of the Sky�. Again, ignore the negative reviews about Alan White. 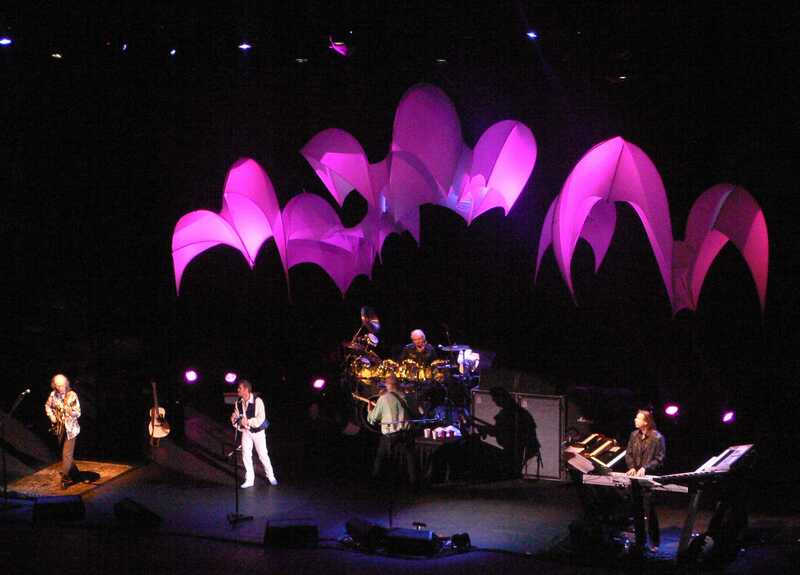 Maybe the band took several dates to get into their stride on this tour, but White's playing was fine in Hammersmith. Where you should listen to the reviews is with Steve Howe. Like they all say, he is on fire: passionate, inspired playing throughout. 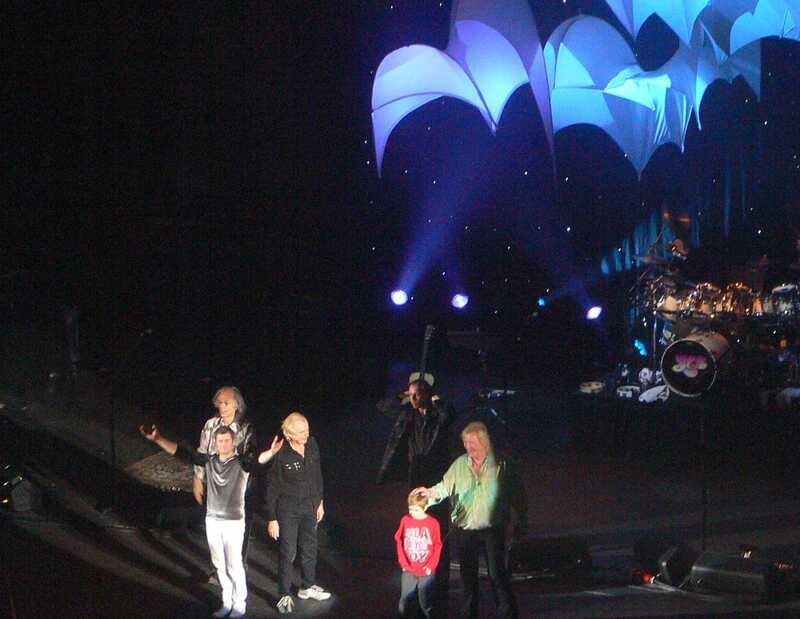 He is even enjoying �Owner of a Lonely Heart�; at the previous show in Birmingham, he described 90125 as �a great album�! Thinking more on it since last night�s concert, there are perhaps two ways of taking the �In the Present� moniker. Applied to the material Yes are playing it doesn�t work, but in terms of integrating another line-up and feeling towards a fresh centre of gravity through the injection of some non-standard material into a �standards� set, it does. Chris Squire�s introduction of Benoit David and Oliver Wakeman as �the newest members of the band� (rather than mere replacements) for the second night running is an emphatic statement that �this is what we are now�. That�s entirely appropriate, and tonight�s audience seemed as willing to embrace the fresh reality as those who went to Birmingham on 16 November had been. What we got in exchange was a committed, fresh and unified performance. Tonight I was in the gallery. The sound was still very good (those in the front stalls must have had the pit of their stomachs surgically removed by the bass pedals and very low keyboard notes!) and the lights and set were displayed to fine effect. 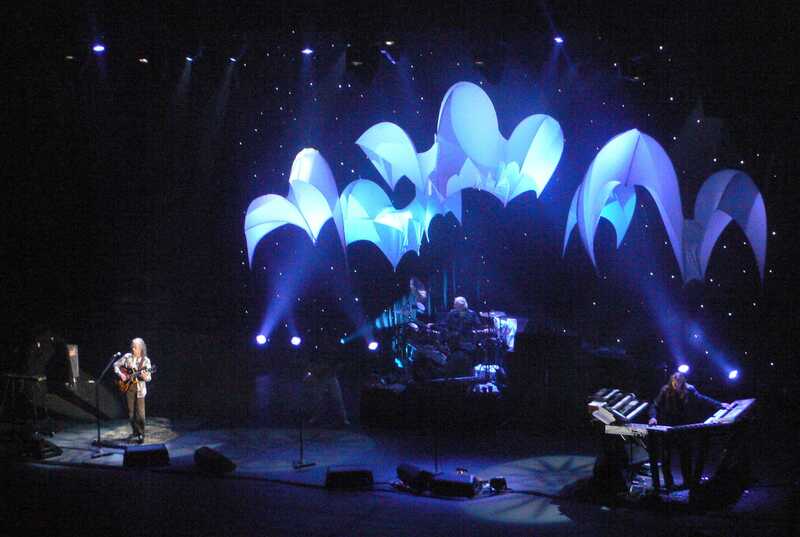 Roger Dean�s linen �hangings� refract colours and shapes very well, and the stage is pleasantly uncluttered. Aesthetically, Yes looked their least ludicrous in years. It was also good to hear Oliver�s keyboards properly. His style is less ostentatious and more economical than his father�s, and in my view that�s no bad thing. By and large his programmed sounds are better, too. Some technical questions could be asked, but he blends the music together well, which is what is needed. Meanwhile, Benoit�s singing voice works just fine. It has echoes of earlier Jon Anderson, but without unnecessary mimicry. The pitching of his opening lines on �All Good People� still sounds misplaced, but in other ways he is doing a very good job. For me the standout pieces were the two Drama-era tracks, especially �Machine Messiah� � which has retained its menace and stop-start quirkiness, but with added grandeur. Hammersmith witnessed excellent renditions of material from an album which has (perhaps unexpectedly) advanced rather than receded in credibility through the test of time. Classics like �And You And I� (which I am always pleased to hear) and �Heart of the Sunrise� worked well, too. The applause at the end was strong and genuine. Yes are still around, and with a diminution of the overall ego quotient from the new additions, they seemed to be happier and more focussed. It was worth the wait. The band played with a real conviction. Chris and Alan held it together, Oliver and David filled some big shoes and Steve, well steve was playing with a real fire and conviction, he was definitly out to have a good time. This showed in the way he made Owner of a Lonely Heart his rather than playing it in a rather detacted way, as he has on recent tours. It was good to hear Astral Traveller and Onward, but it was the two songs from Drama that really stood out. Out of the two Tempus Fugit has always been my favourite, but interestingly enough Machine Messiah realy was the highlight of the set and built to the climax of the last selection of songs ending in Roundabout (good to hear this in it's full glory) and Starship Trooper as the encore to end all encores. A great night out for the wife and myself. How about some new music? Anyway don't be strangers lads,hope to see you soon. I went along with a mate of mine from way back. He'd never seen Yes before. We were seated mid way down the stalls and noticed about 6 women sitting directly behind us. Slightly curious as to why they were at a Yes gig, we politely asked the question. Turned out it was Chris's mum, sister and friends!! We chatted, they were lovely - asking me how long I'd followed the band, their hopes for the show, memories of the 70s. After a GREAT SHOW, we chatted again, said our goodbyes before heading for the exits. Was lovely to meet them. My mate's reaction to the show?? Steve Howe is a god!!! As they took the stage, it took me back to the old days ie the 70's and any fears i had of Benoits vocals where washed away. What a great vocal range the guy has and as for Oliver, it was like watching his dad. The rest of the guys were just amazing (as usual).The set list was excellent as usual and included a few suprises. Overall i give the show 15/10 and everyone was enjoying themselves. Absolutely brill. Have seen yes numerous times since the early 70's - with Bill B,with RW, with Rabin, with the Buggles, with an orchestra, as AWBH, as the Union, and also numerous solo concerts. This lot were superb. It's like watching your favourite football team. Sometimes someone plays, sometimes they don't but still the team wins or they play well even if they lose. Don't worry this lot WON ! Go see, go listen and go and enjoy. I didn't even think of you know who. I recall awful sound for the first few nos at Wembley in the 70s & then too loud. Last night the sound was perfectly balanced with great separation, superb playing, Steve gets better and better. The two youngsters fitted in fine and as always a selection of numbers across the years - no not all the favourites but enjoy the ones that you know less well and be challenged. We all wish Jon was well enough but Benoit was uncannily alike and sang with his own feeling - no trib band this. 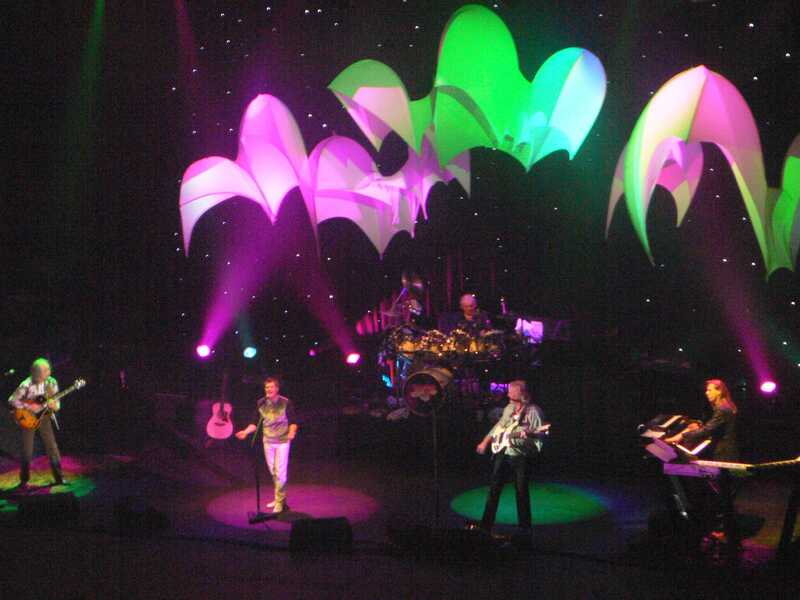 No complaints and a fantastic evening of Yes music. See 'em on this tour and hope for the next and even an album. Whoever is in the lineup. Given Chris' young son came on to take a bow this family business could go on & On....& Onward. The story goes that in the late 60's, in London, a bunch of talented guys got together wanting to create some music. They were aiming to write, record and perform progressive rock music on an orchestral, anthemic style with great harmonies and virtuoso musicianship. Now, 40 years later, a group of 5 guys are on stage, reminding us of what that band, regardless of who is currently in the line up, has achieved. Soaring vocals, fantastic performances by masters of their chosen instruments, beautiful arrangements of fantastic works of music. Steve - masterful and a clown?? Chris - The master of ceremonies! Oliver - Amazing keyboard work AND a few smiles! A full house of 40, 50 and 60 year olds - DANCING IN THE AISLES! standing ovations, a bit of banter between the crowd and the band. This was a gig that i will relish for a very long time. 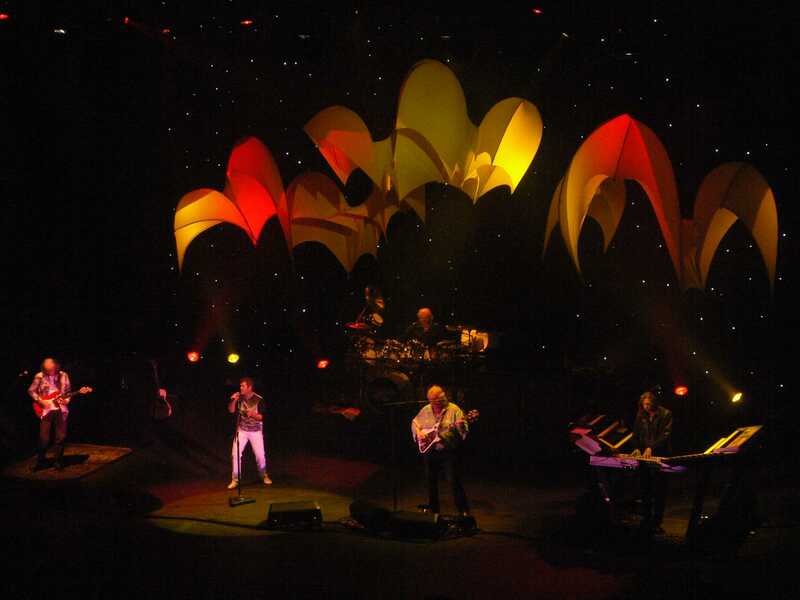 I've seen at least one Yes show on every UK tour since 1980, and tonight's Hammersmith gig proved to me that the band can still summon up all the energy and verve that makes a Yes concert such a rewarding experience. Thinking back, this was certainly my favourite performance since the Symphonic tour and light years ahead of the last time I saw them, at Wembly Arena in 2004. Dropping the epics from the set list made room for some wonderful overlooked material - I loved hearing Onward, Astral Traveller and Tempus Fugit and a highlight of the set was an electrifying performance of Machine Messiah. Most of the rest was drawn from Fragile and The Yes Album, but it seemed to me that many of the lead guitar sections were extended, which was just as well because Steve was absolutely on fire tonight. At the start of the show there was definitely an undercurrent of nervousness in the audience, who wanted to like what they heard but were uncertain about Benoit and Oliver, the New Boys. But as the show progressed that feeling dissipated as people relaxed - this was still definitely Yes, if anything a Yes re-energised by the younger members. Chris (who always seems thirty years younger on stage anyway) was in his usual role of showman and show-runner, making eye-contact with all the other band members and keeping the whole thing together. Alan was solid when he had to be and firey when he got a chance. Oliver has all the keys parts down perfectly - the only thing he could improve is maybe to smile occasionally, but I suppose he is concentrating pretty hard. Which leaves Benoit. I wasn't sure what to expect, but I'm a convert. His voice, while easily matching Jon's range, is slightly different in character, possessing a little more twang. But it's confident and powerful, and that contributes strongly to the sense of a re-energised band which is my abiding impression of this evening. I wouldn't hesitate to see the band again with this line-up. The real question is how the band copes without Jon when it comes to writing. On the road Benoit makes a great substitute, but Jon is pretty unique when it comes to cosmic lyrics and melodic invention. Maybe the guys can work out a future where Jon writes and Benoit tours - well, I can dream, can't I? Since i first read the news that Jon wasn't going to be part of this tour, I've been "preparing" myself for this Hammersmith gig..... I have to be very honest: low expectations did pay off. You know what.... it was a GREAT CONCERT! If Yes have to play without Jon (something that makes me really sad) then I can tell you they are giving us the best show that could be possibly done without one of its most mystical and spiritual members! Of course the shows may lack in spirituality, something that was only possible with the lead vocal of the beautiful Jon Anderson. Still, the team playing, the rhythm, the vocal blend and the timing are just AS GREAT. Some people may point out some "sloppy" playing here and there but that's something that Yes always had, they are so human, and they don't pretend to be perfect, or act like perfect-virtuoso-prog-gods. Benoit David is what he is, that's for sure. At least he's being HONEST. As a Yes fan that is something positive as i don't want somebody "acting like" or pretending to be Jon Anderson. And if you've attended one of these shows you know Benoit is his own guy. Have your ever seen Jon Anderson doing SPINS? lolol Yes were 110% commited to this show, and that's what it's all about. And if we consider that they don't have Jon to help them (something i'm sure both Jon and the rest of the group feel its really sad) i think those lads are making a great job! 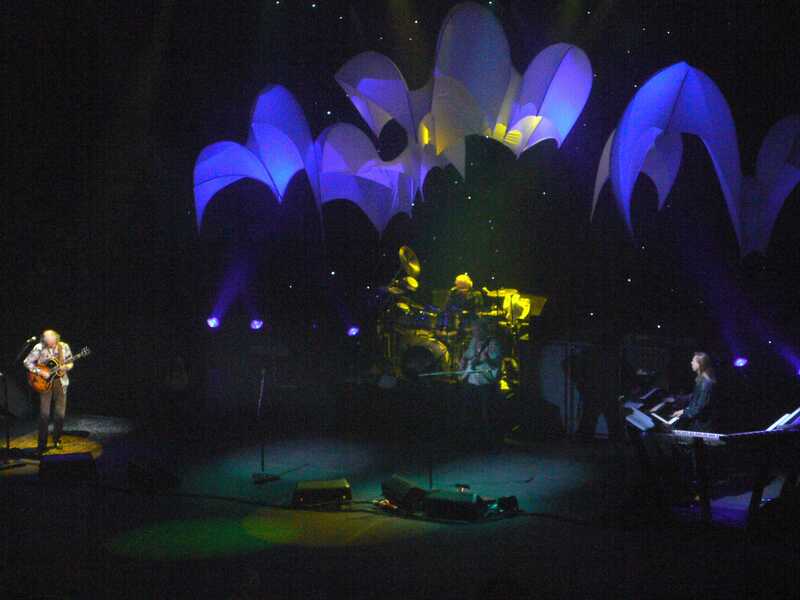 And this is the reason why I love Yes: you can see they are human beings daring to try to touch the divine through the creative force of music. When Jon Anderson was born, he was touched by an angel. The same angel must have touched Benoit. Great gig. Great vibe. Hope this line up records an album soon. While any Drama tracks would have been completely inappropriate for the 'Classic' lineup, with the two new guys both songs seemed entirely at home in the set (even the eighties pop song did not seem wholely out of place which is something I never thought I'd say!). Of course I hope Jon & Rick can be involved again in the future, but in the meantime we clearly have a happy, energetic touring band to keep Yesmusic alive. Two minor points for Monsieur David: it goes "June CAST, Moon FAST" OK? And please rethink all that 'spinning round on the spot' business; I'm sorry but it just looks very silly. Most of the people that bought tickets to see this incarnation of the band - and certainly nearly all of the people I encountered at the Hammersmith Apollo last night � are major long-term Yesheads and therefore have their own view of what are the best albums and tracks, line-ups and so on. Most, like me, went hoping very much that they wouldn�t be disappointed after some of the comments posted on the American and earlier European legs. 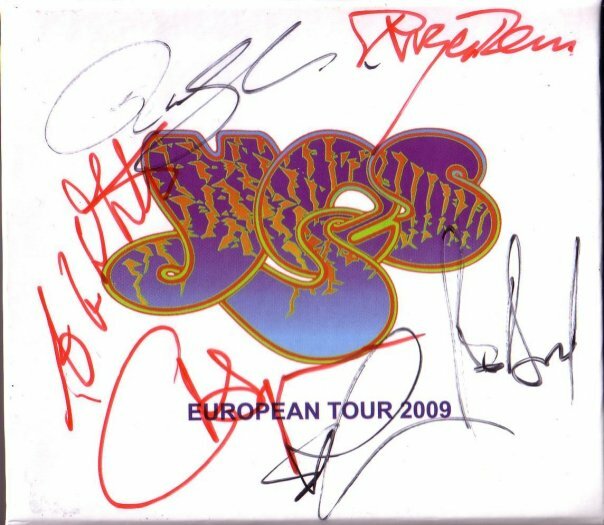 So I shan�t repeat any of the previous comments on all the above and will just say what I think is most important: A Yes line-up with three of the giants of the band put together a show at Hammersmith last night that was a delight to experience. So many people were on their feet, dancing and clapping and singing along. I felt many of us were sympathetic for Benoit and secretly urging him to have a good night and boy did he! Not perfect, but when was the last time any of us saw Jon Anderson perform perfectly? But for a vast majority of this concert his singing warmth, energy and sheer joy at being on stage performing these songs was terrific, well done Sir! 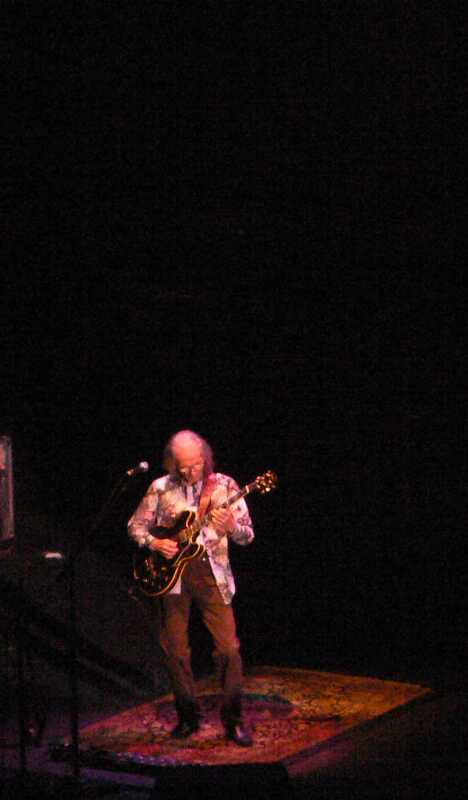 Steve Howe was more animated than for some years and had a particularly good night. 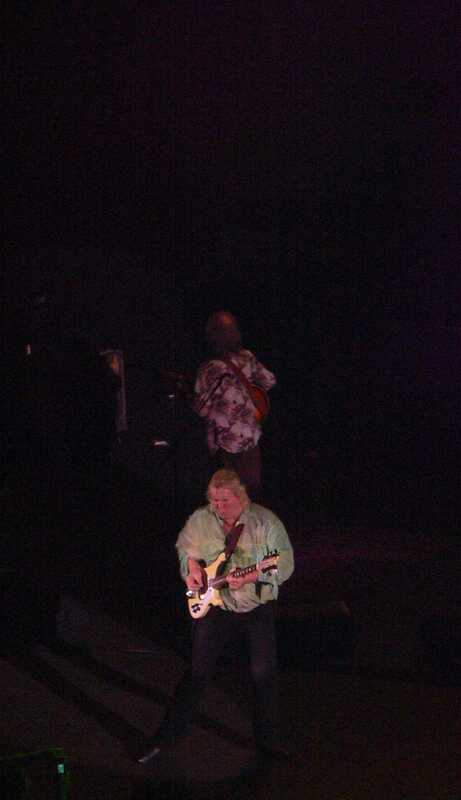 Chris Squire was Chris Squire, stomping around the stage menacingly, having fun and camping it up during HoTS and Starship Trooper! Alan put more into his drumming than he appears to have done at earlier shows, he looked a bit tired, sure, but he put a lot into this show and hit his drums with passion and precision. Oliver and Benoit relied a lot on him for their timing cues and he kept things pretty tight. I had probably the best seats in the house and from where I was sitting the sound mix varied from perfect to unbalanced at times, Chris�s bass in some places feeding back at certain frequencies and not sounding as sharp and clear as usual. However, no point in nit-picking, it was a live concert and for the most part it was outstanding. My friend Jon and I left absolutely delighted and grinning from ear to ear. Let�s have some new material � eight years is far too long and these days it doesn�t need to cost a fortune to make an album. Been to literally every tour in the UK since 1975 and this was a perfectly decent gig, right up there in fact if you count atmosphere, rapport with the crowd and sheer joy of playing. Congratulations Yes on proving a lot of people wrong, most of who are presumably happy to have been proved wrong! Naysayer�s � don�t buy a ticket in future and go and enjoy the latest Pussycat Dolls album�. I pretty much share OBJ's opinions on the gig. I too thought the sound patchy at times, with Benoit's vocals often too low in the mix (I saw Deep Purple there on Saturday and they suffered from the same problem - and were sadly disappointing all round). Machine Messiah was real treat - and Steve seemed to relish the opportunity to play it. My first ever Yes gig, and an absolute delight. Great gig. Surprised at no material from 'Going For The One', but didn't actually miss it in many ways (despite it being my favourite Yes album). The 'Drama' stuff was a real treat. More please! 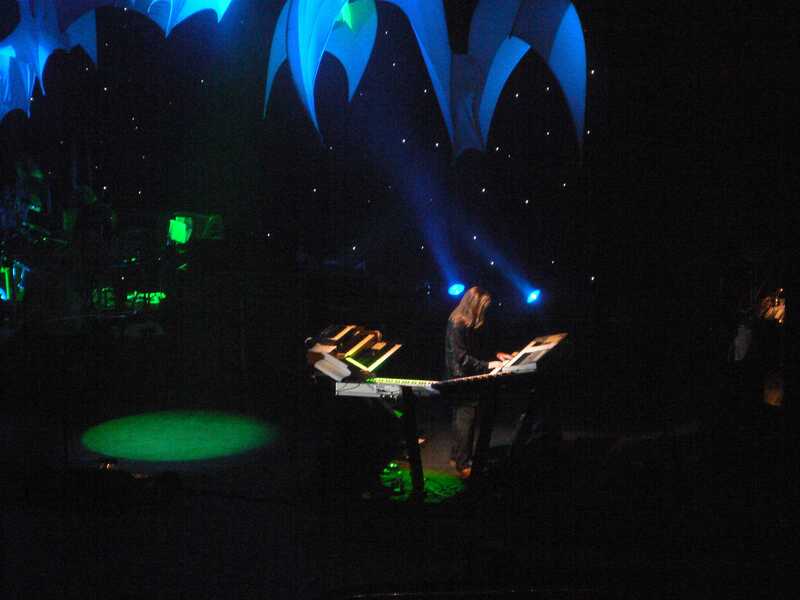 When I first heard about David Benoit and Oliver Wakeman I, like many others, was sceptical, but by the time I arrived at the Hammy Odeon last night I had put all that aside and was ready to enjoy another Yes gig. After 'All Good People' I wanted to give Benoit a big hug, as he sounded great and was clearly having the time of his life. In fact his voice could have done with being brought up in the mix, as could Oliver's keyboards. Indeed the sound mix could have been better all round as Chris's bass was a bit too boomy too. However, Steve's guitar came through clear as a bell, and what a joy that was as he really played well last night. Personal highlights were Astral Traveller - though it could have done without the drum solo - Yours Is No Disgrace and Machine Messiah, the latter sounding better than when I saw them play it here (only) 29 years ago and finally, for me, returning to my heart after so many years in the wilderness. Siberian Khatru, while it used to be an incredible (and incredibly difficult) track to open with, needs to be played a little faster or moved down the order for when the band have warmed up a little. Nonetheless, I loved hearing it again and will always love hearing it, no matter where its played. Steve tackled Owner with aplomb, actually bringing it closer to the sound of the other tracks. Having said that, I'd have rather heard something like Parallels. Overall it was an amazing evening. The setlist was excellent and while I always like an epic, the longer tracks weren't missed. And while I would have preferred Wakeman Sr and Anderson, to be honest you could hardly ask for better replacements on a tour that is clearly not intending to break new ground but to satisfy the diehards with a selection of primarily 70s classics and a couple of rarely-heard "oldies" thrown in. 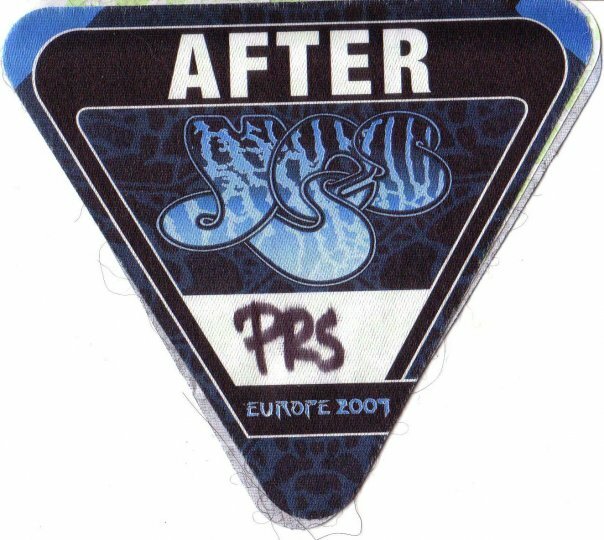 It's been a long 5 years since Yes played in the UK and this was an excellent show. Each band member played perfectly and the sound & mix were spot on - one of the best sounding rock concerts I've ever been too. After a little warming up during Siberian Khatru and I've Seen All Good People Yes then started firing on all cylinders and rocked out. It was a little disappointing that there was no Close To The Edge or Parallels that were played in the US last year but nevertheless this was 2 and a quarter hours of pure Yes heaven. My fave songs of the night have to be South Side of The Sky, Machine Messiah, Starship Trooper, And You and I and Heart of The Sunrise which was totally spot on. There were lots of smiles between band members who were obviously pleased at the positive audience reaction. Having seen the band many times over the last 10 years or so this show was certainly up there with the best of them, certainly better than the 2004 shows. There is no doubt for me that Benoit David has given Yes new life and long may they continue.